HomeFeatured ArticlesHas The Domino Effect Happened With Cuban Boxers? The phrase ‘domino effect’ has a very strong meaning because it signifies how a chain of events can be traced back to one singular moment. In this case it could possibly be applied to Cuban boxers that have been taking some bad defeats. An argument could be made that it all can be traced back to one event. December 9, 2017 Vasyl Lomachenko vs Guillermo Rigondeaux this is the fight that started the downward spiral if you’re a fan of Cuban Boxing. Rigo basically quit in this fight and hasn’t been heard from since. However, it seems to have started a chain of events that hasn’t been broken yet. 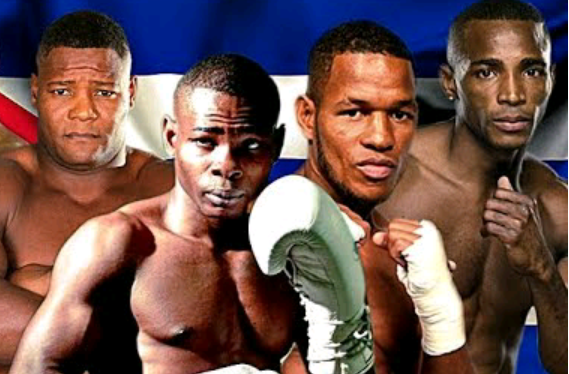 Yunier Dorticos, Sullivan Barrera, Luis Ortiz & Rance Barthelemy have all lost in championship fights since the infamous debacle on December 9th. Have faith Cuban fans as all is not lost. Erislandy Lara vs Jarrett Hurd is coming up on April 7, 2018. Will Lara be able to end the cycle? One thing is for certain the Cuban school of boxing have taking a bad hit and could use a good solid win in a unification bout. Go Lara Go! !